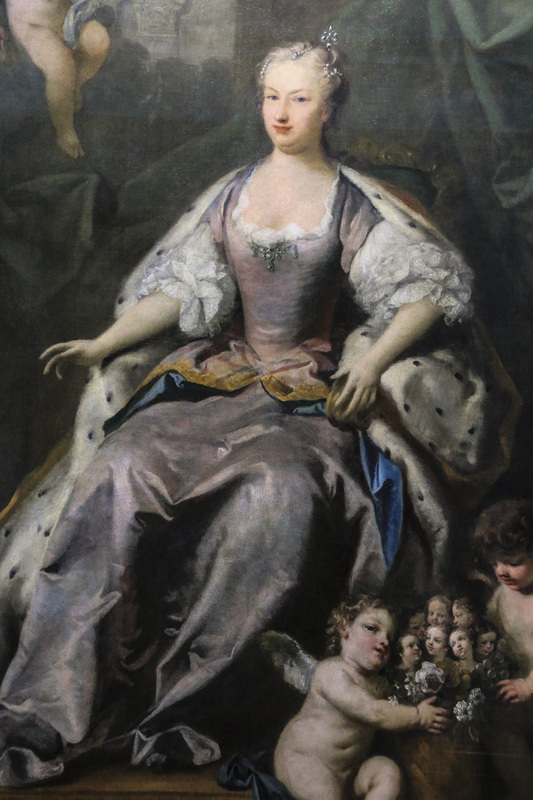 Sophia Dorothea was the wife of King George I of England who ascended the throne in 1714 with two mistresses! The cruel man had left his wife behind in Germany, imprisoned for the last 32 years of her life. So, I went in ‘search of’ her in England and Germany to see how history has remembered her. My search for Sophia Dorothea began in England where I failed to find any evidence of her existence. 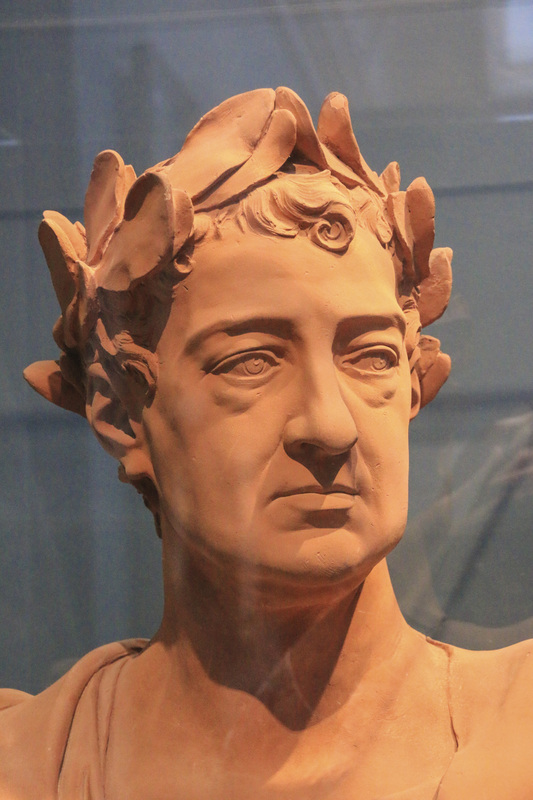 However, I did find a rather stern faced terracotta bust of her husband, King George I in the National Portrait Gallery, London. I had my first encounter with the Hanoverian Kings of Great Britain at the Georgian Fashion exhibition in Bath. Here we have George I gazing at the headless women in the glass cases. This image speaks volumes about the way he treated his wife, Sophia Dorothea. This is because he had all her images destroyed when he exiled and imprisoned her. So that she became headless like the fashion dummies. He did his best to eliminate her from history. And I am on a mission to see whether he succeeded. 2014 marked the 300 year anniversary of the ascent of the Hanoverian Kings to the British throne. And there were still plenty of exhibitions in England and Germany to visit. So I searched for Sophia Dorothea in many Palaces and Art Museums. Curators had heaps of sun juxtapositioning royal kings and princes with the mistresses. And their portraiture tells it all! Searching for Sophia Dorothea in the National Gallery, London, failed to reveal any evidence of her existence. In fact, the terracotta bust of George I, is in a rather lonely corner. He is all by himself, with neither wife nor mistresses. And, the look of disgust on his face is no doubt due to the large coronation portrait of his son, King George II placed right beside his tiny bust. George I hated his son with deep vengeance and contempt. Presumably because his hatred of Sophia Dorothea overflowed to her son. In addition, the despised wife of George II, Caroline of Ansbach, hangs opposite him. And even worse, their son, Frederick, Prince of Wales is nearby. 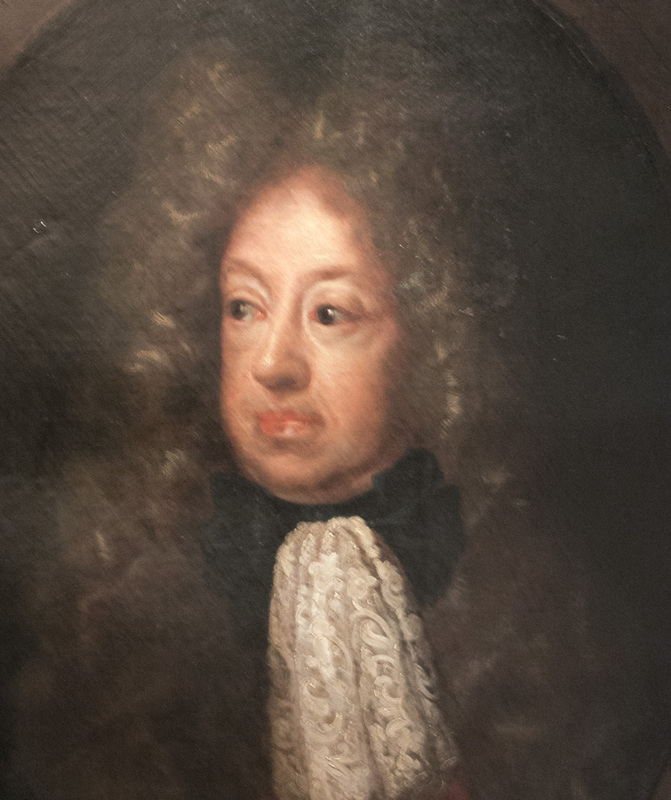 7 year old Frederick had been left in Hanover to rule in place of George I. So, his parents did not see him until he was an adult. Somehow, his parents came to despise him to the extent that on her death bed Queen Caroline refused to see him. As if to taunt them all, Caroline dominates, as she did in real life, with a massive, larger than life portrait. George II was only slightly kinder to his wife than his father was to Sophia Dorothea. 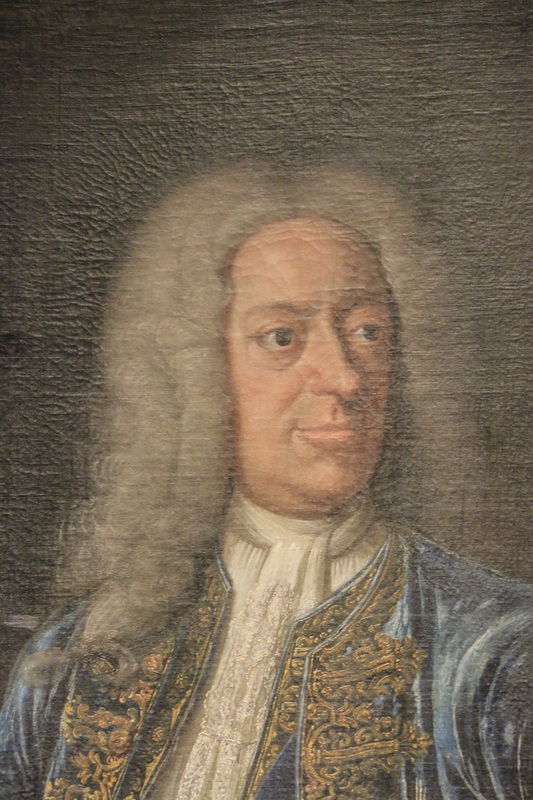 He spent a great deal of time in Hanover, partying in grand style and accumulating mistresses. Caroline not only had to put up with all this, she also had to watch her own behaviour very carefully for fear of being locked up like her unfortunate mother-in-law. Queen Caroline was the recipient of lengthy tirades of denigrating abuse from her husband. But worst of all he would send her very lengthy letters from Hanover describing in vivid detail his affairs with his mistresses. It wasn’t that he did not love her; it was his way of saying that she did not rule his life. 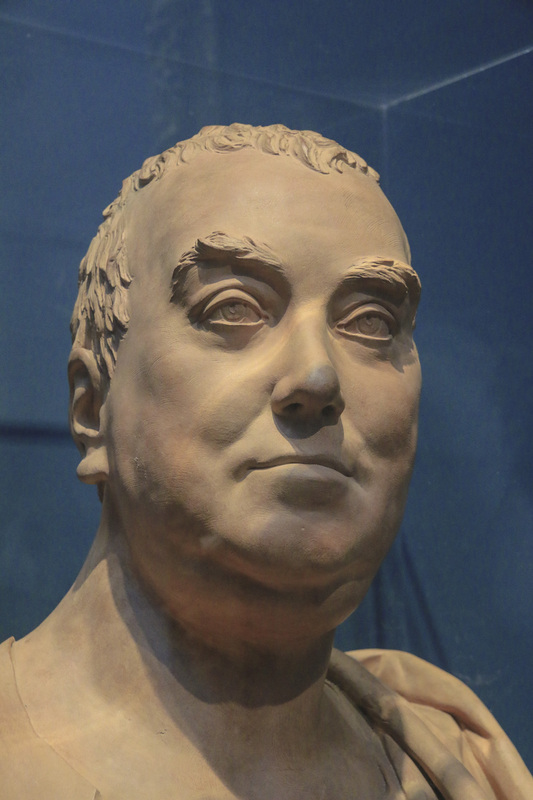 Her one source of consolation in all this was Britain’s first Prime Minister Sir Robert Walpole. He was in the habit of comforting her over a cup of hot chocolate. So naturally his bust, exuding smug wisdom, is cleverly placed between the unhappy couple and lined up with George I, their tormentor. 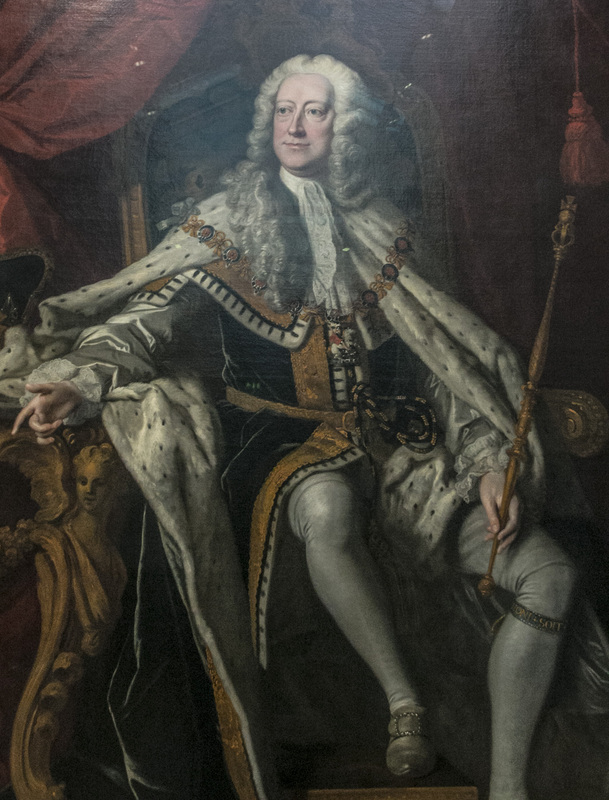 King George II escaped England as often as possible, making numerous visits to Hanover. On one particular occasion whilst visiting Hanover, he fell violently head over heals in love with Amalie Sophie von Wallmoden. She was known as ‘the Wallmoden’ and she promptly gave him a son. Caroline read the letters containing the lengthy details of the love affair to Walpole. He had a distinct preference for her remaining Queen. So he cautioned her to write back giving her loving consent and even inviting the ‘Wallmoden’ to England. Here is the suprising bit! In the Herrenhausen Museum in Germany, George II is mounted on the wall next to his ‘Wallmoden’ and no Caroline is to be seen. George II was the Elector of Hanover and the Hanoverians clearly saw her as their Electress. Sophia Dorothea and King George I were first cousins, and their fathers were brothers. When, at the age of 16, Sophia Dorothea was told she had to marry him, she is said to have become hysterical and declared she would never marry that ‘pig snout’. 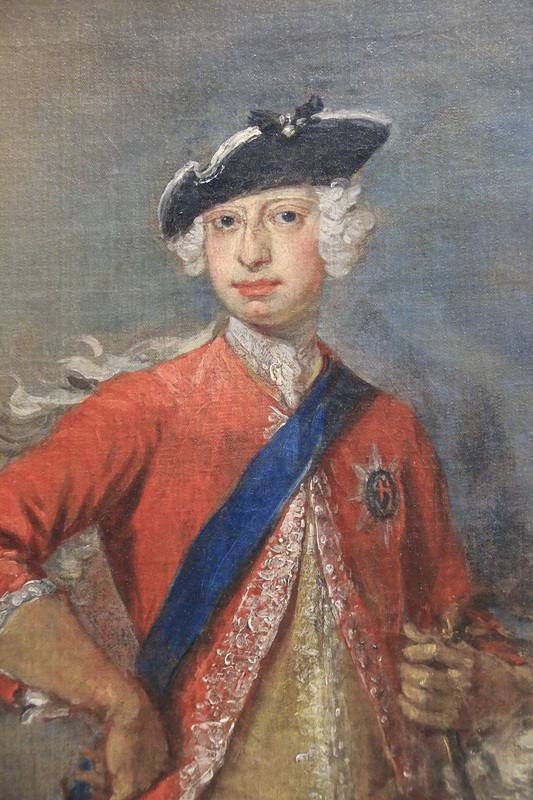 It is highly likely that he did have a ‘pig snout’ because in the portrait of George II, next to the ‘Wallmoden’, he does have a ‘pig snout’ which he clearly inherited from his father. Despite all her efforts to avoid the marriage, neither Sophia Dorothea nor her mother had any say in the matter. This was a dynastic marriage with one purpose only – to achieve the driving ambition of both brothers to elevate their dukedom to the status of the ninth electorate of the Holy Roman Empire. Once married all of Sophia Dorothea’s inheritance, that is the wealthy dukedom of Celle, full of silver mines, passed to her husband, along with a large dowry sum. 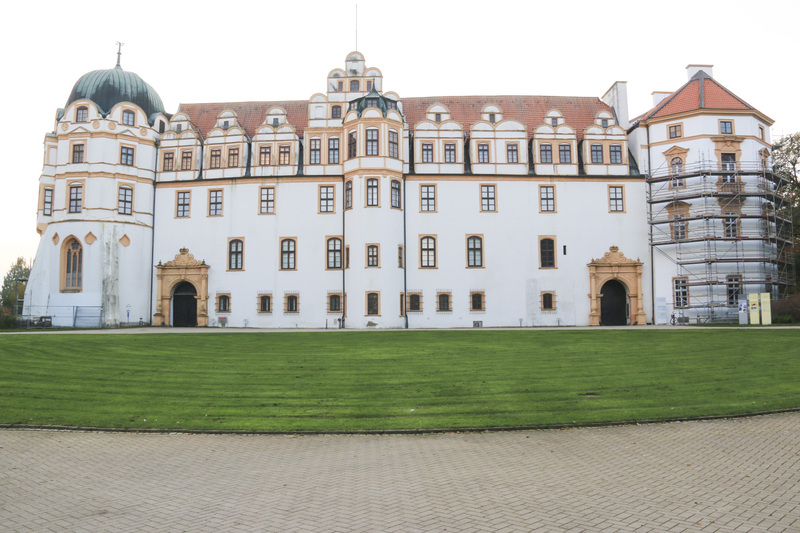 This is the magnificent Ducal Palace in Celle where she grew up as a very happy and pampered child. I was very curious to know how well Sophia Dorothea was remembered in Celle, the place of her birth. 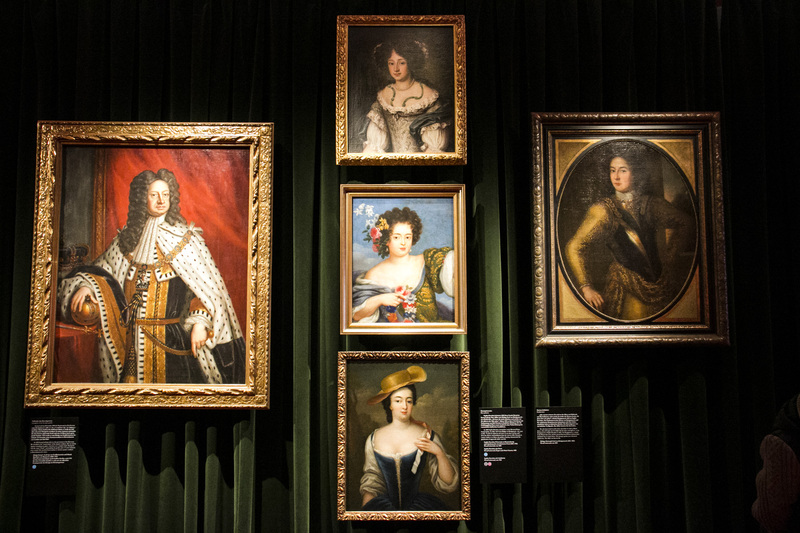 Touring the Ducal Palace, I did find some brilliant portraits of her. She was indeed a very beautiful woman! 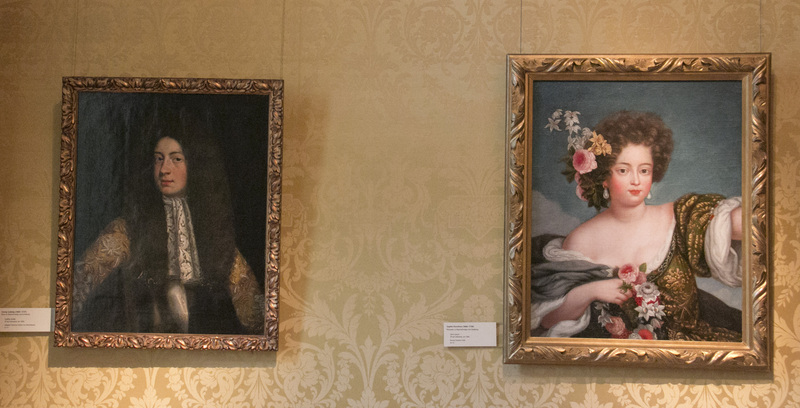 In a fitting place, the State Room last occupied by her mother Duchess Eleanor, hangs two portraits of the loveless couple cleverly positioned with their faces pointing in opposite directions. 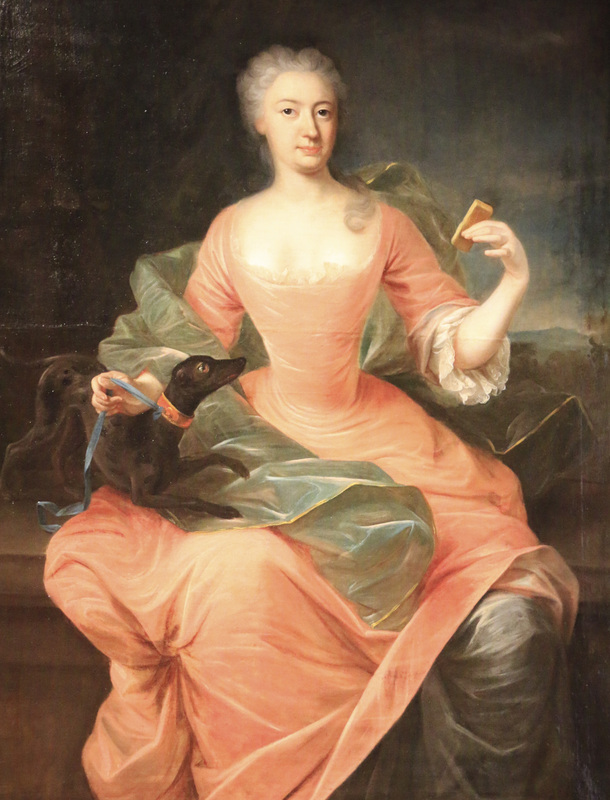 In the Ducal Palace in Celle, there were two more portraits of Sophia Dorothea. Her beauty and royal demeanour are very evident in the portrait below. Till the end of her days she never lost her love of magnificent clothing and always wore diamonds in her hair. 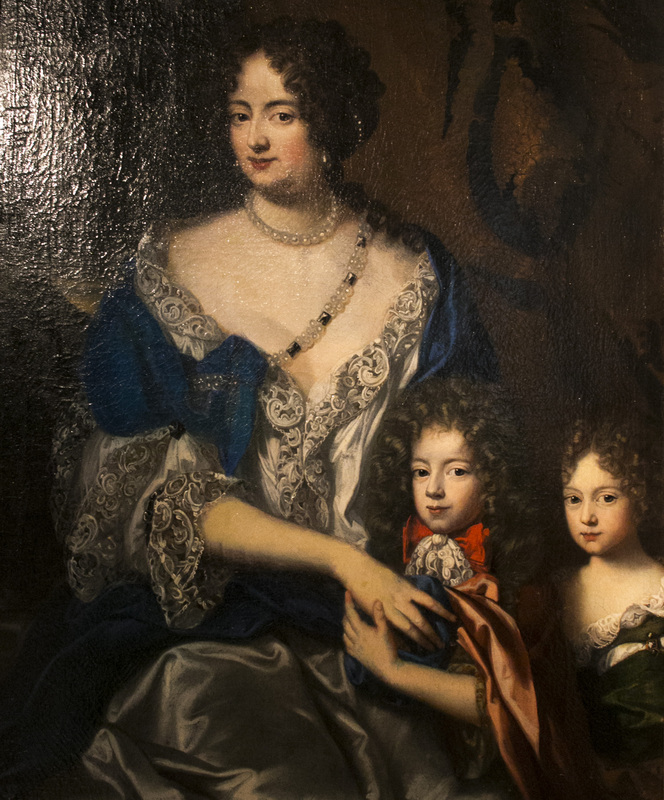 In this portrait her love and devotion to her children is evident. However, the portrait ominously points to her impending doom and that of her children. She turns her head away from her children, but her gaze directly engages the viewer, maintaining her dignity and beauty. Little George looks very regal, but also vulnerable as he clings to his mother. Her daughter, Sophia Dorothea, stands defiant, all alone in the bottom left hand corner of the portrait. This will become her position in life, deprived of her mother, and married off to the cruel and vicious King of Prussia. Sophia Dorothea and Georg Ludwig clashed violently. Just before the birth of her daughter in the photo above, he had ignored her for many months and her attempts to discover how she had offended him sent him into such a rage he tried to strangle her which sent her into labour. Sophia Dorothea struggled with her husband and in-laws and found consolation in a dangerous place. Phillipe Konigsmark, a Swedish Count and childhood friend was madly in love with her and became a shoulder for her to cry on. She resisted his advances for quite some time but their numerous letters reveal an intense love affair. She always denied, swearing on her immortal soul whilst receiving the Blessed Sacrament, that she was not unfaithful to her husband. Historians disagree and on evidence of their correspondence believe that their relationship was sexual. At the Herrenhausen Museum is a quote from one of their letters that seems to support this. 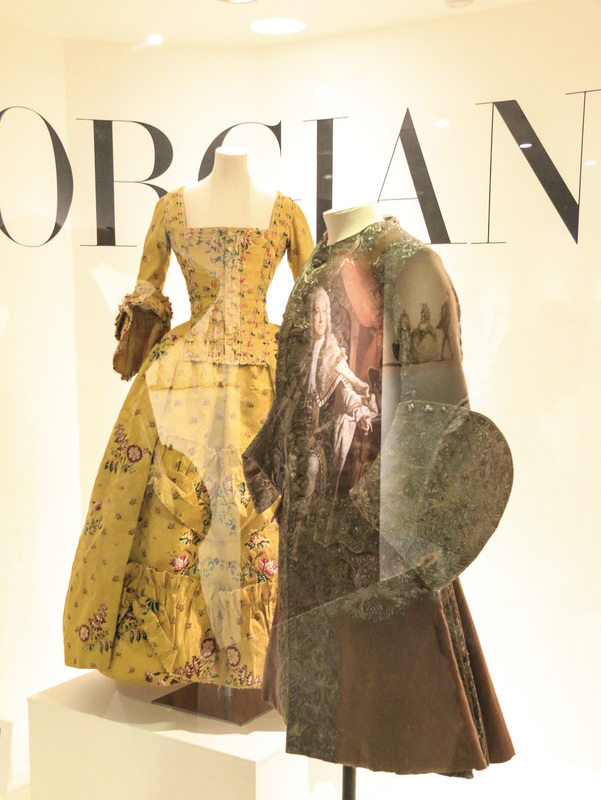 The Herrenhausen Museum in Hanover, acknowledges not only that Sophia Dorothea existed, but there are three images of her in between her despised husband and Konigsmarck, the man she loved. Sophia Dorothea was always looking for ways to escape from her sad marriage. She tried pleading with her parents to let her go home to Celle. But even with strangulation marks on her neck, her father sent her straight back to her in-laws. Investigating her financial situation, she realized she had no money to call her own; her immense dowry and all her inheritance was now the property of her husband. She was trapped! 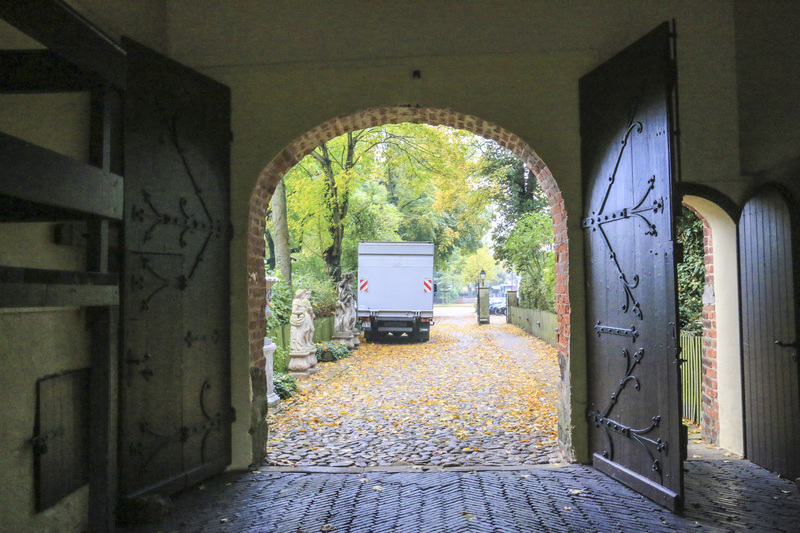 But sadly both families watched her every move, and one fateful evening, returning from Celle after pleading for her liberation, she failed to stop at Herrenhausen Schloss, and went straight to her apartments at Leine Schloss. It is believed that her father-in-law’s mistress, Countess van Platen, mother of one of her husband’s mistresses, sent a note to Konigsmark asking him to meet the Princess in her apartments at 8 pm. Although she did not acknowledge the note as her own, she fell into the trap and allowed Konigsmark into her apartments. Leaving her apartments several hours later, he was never seen again. Clearly a trap had been set to murder Konigsmarck and imprison the Princess. Although many letters were found in her apartment, it was not her purported love affair that brought about her demise. Both sides of the family went into seclusion to discuss Sophia Dorothea’s fate. She was steadfast that she was not unfaithful to her husband, but that she no longer wished to cohabit with him and wanted to return home to her parents in Celle. Prime Minister Bernstein reassured her that if she left Hanover and returned to Celle, that all would be well. This was deliberately deceptive advice; he knew full well that to deliberately choose to leave her husband would lead to her exile and imprisonment. Many doubt that a genuine trial took place, but on 28th December, 1694, her marriage was legally dissolved on the grounds, not of adultery, but of ‘malicious desertion’ or ‘incompatibility of temperament’. Along with the guilty verdict came the harshest, cruelest and most humiliating terms of imprisonment imaginable. 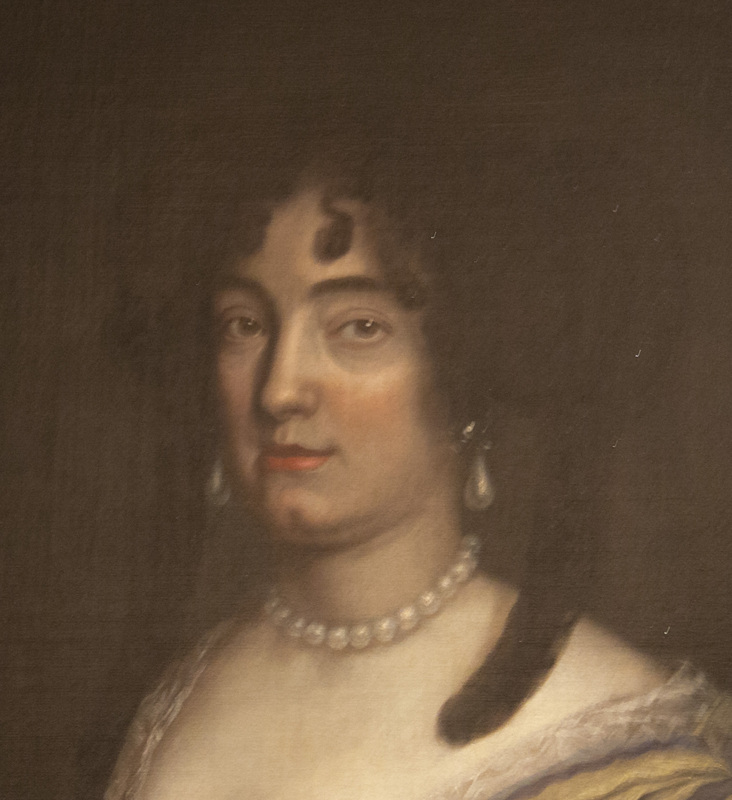 On 28th February, 1695, she was to be exiled and imprisoned in Ahlden Schloss in her father’s territory of Celle for life, with the insulting title Duchess of Ahlden, and an allowance of 14 000 thaler per annum. She was never allowed to see her children again, or anyone else for that matter. Her parents shown below had mixed reactions. Her father refused to ever see her again! George I stripped her of the title of ‘Electoral Princess’ so that she could not make a claim on his title. As the ‘Duchess of Ahlden’ she was allowed to oversee the small and remote village of Ahlden. Her small allowance of 14 000 thaler was to be increased to 18 000 thaler when she turned 40. She was permitted to run her own household which consisted of the governor and his family, a platoon of guards, 3 cooks, and various servants. Detailed diaries did exist on how she handled her little ducal estate including small levies, and managing her finances. But all of her papers vanished on their way to Hanover, after her death. Even the divorce papers disappeared. Her mother did everything in her power to have her daughter set free – to no avail. Although there was enormous sympathy for her plight, no King was willing to go to war to have her freed. Her mother was eventually granted visiting rights. It is impossible to understand the utter loneliness of her imprisonment without seeing the place of her exile! 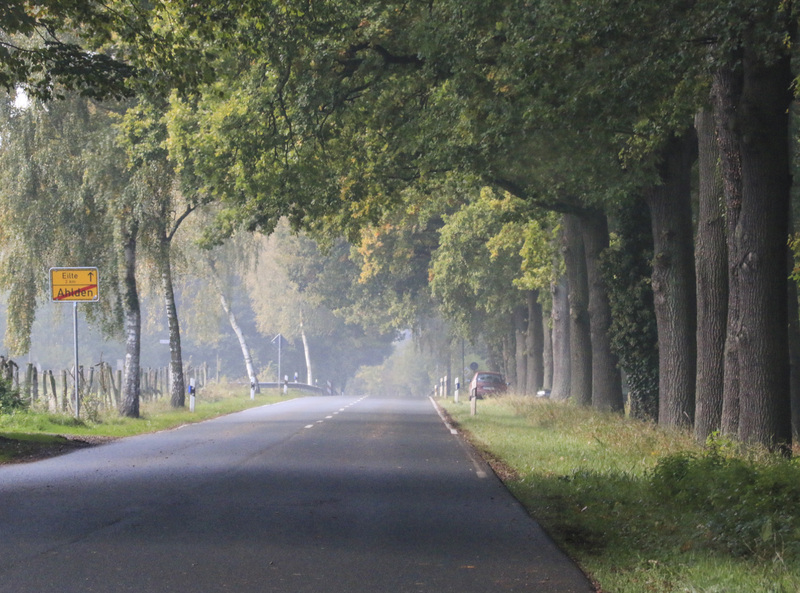 Journeying to Ahlden in autumn last year gave me insight into what she must have endured. Today Ahlden is very much the same tiny, insignificant village that it was over 300 years ago. 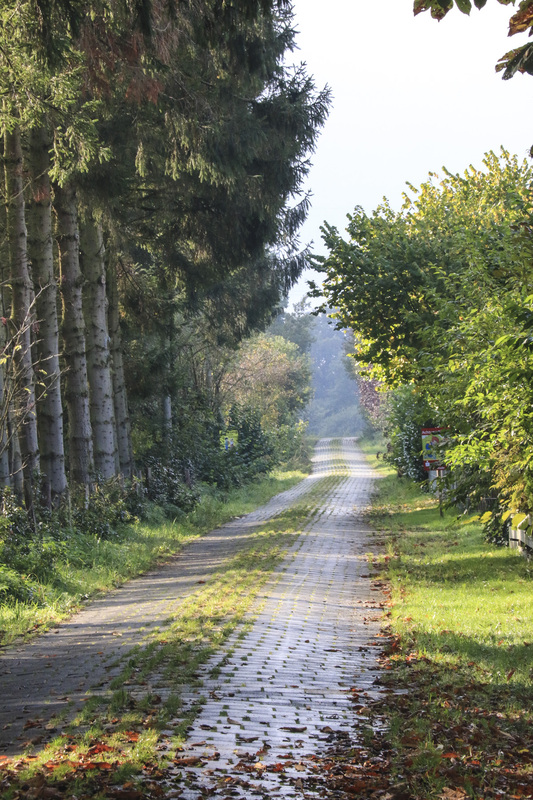 It is not just a remote place, lost in time, it is also located a mere 20 minutes drive from the notorious World War II Berger Belsen concentration camp. 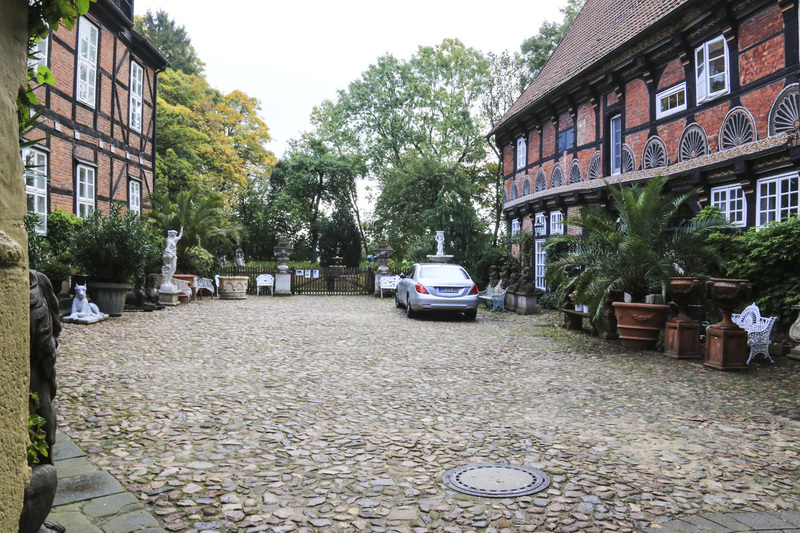 Schloss Ahlden is currently owned by Fine Arts auctioneers, but under terms of the sale the courtyard and exterior of the historic building must remain available for public viewing during working hours. 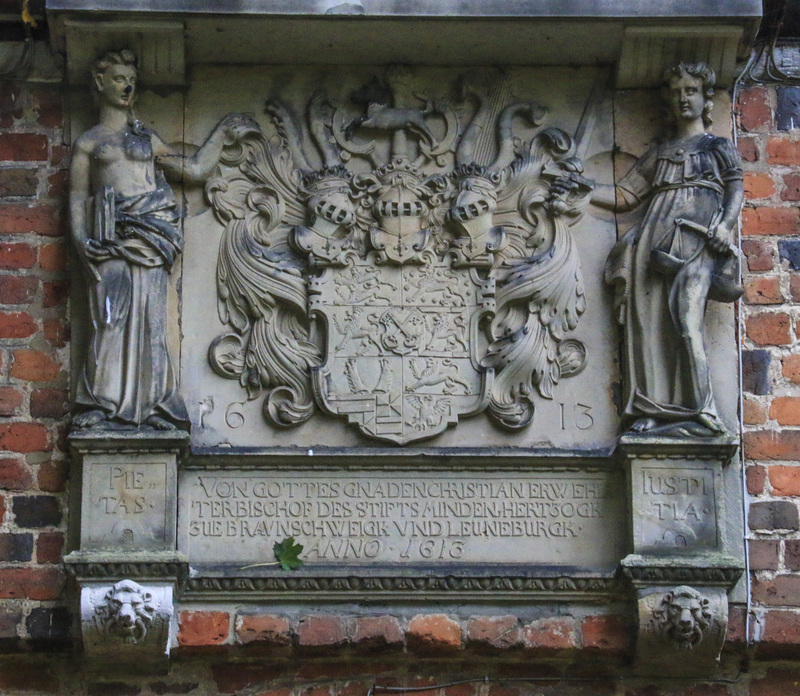 Ironically, the figures of Piety and Justice still guard the entrance to the Schloss as they have done since 1613 when it was erected as a magistrate’s house of the district. Walking through the ancient gateway, the courtyard is immediately visible. Today this courtyard looks quite attractive, but access to this area was not granted to Sophia Dorothea until after several years of imprisonment. And for the rest of her life she could only walk in the courtyard with permission from the Governor and under guard! At the far end of the courtyard were stables and storage areas, so that the courtyard had no access to the outer world. In fact, Ahlden Schloss was surrounded by two moats and a drawbridge, making escape or rescue impossible. The picture below shows the gates that imprisoned her. Although the draw bridge no longer exists, the wall recesses for the draw bridge can still be seen. 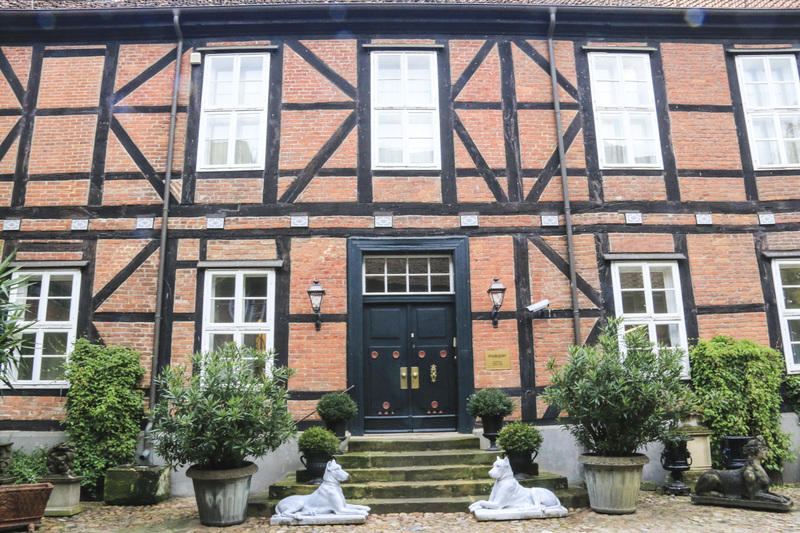 Ahlden Schloss is not large and is a stately home rather than a castle and is more correctly called Ahlden House. Sophia Dorothea was only permitted to occupy two rooms, each about 7 x 5 metres. She entered her prison through the doorway below, ascended a staircase and her two rooms, a bedroom and a sitting room were on the left. I did knock on this door and spoke to the owner who explained that indoor access was only possible during auctions. She also assured me that nothing was known about Sophia Dorothea. However, I did catch a glimpse of an old cream and green staircase and was mesmerised by visions of this lonely woman entombed in the rooms beyond. It is said that she was so afraid of disobeying the Governor, and hence her husband, that at some stage during her imprisonment a fire broke out in or near her rooms and she stood at the top of this stair case with her jewellery box and did not move until she was given permission. Glimpsing at the stair case I was easily able to imagine her standing there with her jewellery box. 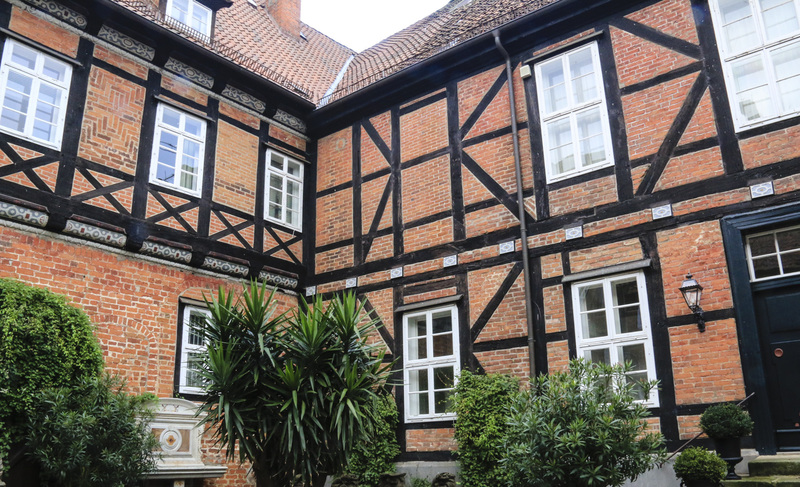 She did have a slight reprieve when she was sent to Celle, perhaps for repairs after the fire, and certainly around 1700 for about a year when a war threatened invasion. But her strict terms of imprisonment were still enforced, and her father never set eyes on her. She was allowed to walk in the magnificent grounds of the Ducal Palace shown below, but only with her face covered in an iron mask so that she could not be recognised. Gazing around at the building from the courtyard, research indicates that her two rooms were in this corner of the building. The wing on the left may have contained a dining room where she was permitted to eat with her household staff, if she so desired. During her imprisonment, and for many years afterwards there were many tales told of the ‘great lady’ who could be seen gazing from her windows. 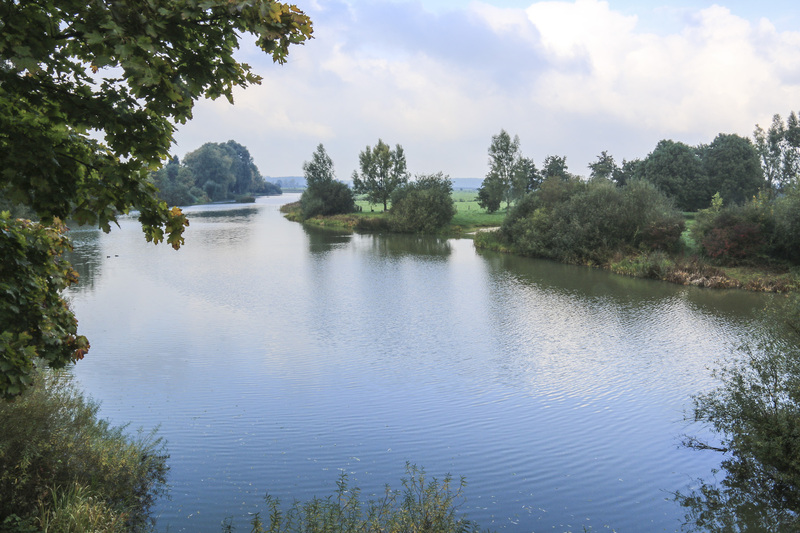 Two windows from her sitting room looked out over the River Aller and her view would not have differed greatly from my view by the roadside. In her bedroom there was a sleeping alcove and her two windows looked towards the tiny village and its chapel. Although the chapel was a very short walk across the road, she was never allowed to attend Sunday worship. However, some folklore indicates that there was a pew in an upper tier, where, perhaps later in her imprisonment, she was allowed to sit hidden from view and well guarded. Visiting the chapel, it is possible to imagine such a vantage point. In 1721, she donated an organ which has the inscription ‘presented by H.R.H. the Duchess of Ahlden, 1721’. But the organ was in an inaccessible position so I could not look for the inscription. Other folklore stories refer to the ‘great lady’ dressed in magnificent clothing and with diamonds glistening in her hair riding at full speed in her horse and carriage, always in one direction only, on the road towards Hayden, stopping at a bridge 5 km away, with armed dragoons riding beside her with raised swords. This carriage ride, in one direction only, to a bridge and back was her only respite from the tedium of Ahlden Schloss. She is said to have driven the horses as fast as possible to help relieve her boredom. But she was always accompanied by one of the ladies who waited, and spied, on her; and always with armed guards. We drove around looking for a road such as this and kept ending up at the start of this road, where it is is easy to imagine her carriage flying down this road. The forests around Ahlden were good for hunting and her husband would hunt in the area totally ignoring her dismal plight. Her son did try to visit her when hunting, but was held back by his attendants, who strongly cautioned him about the consequences of disobeying his father. Gazing at the forest in the photograph, my imagination took me to this scene. As we crossed the River Aller I could see glimpses of Ahlden Schloss through the trees. True to descriptions it was perched on a muddy outcrop and I cringed with horror at the recollection that upon her death, George I had ordered her coffin to be buried in the mud. But the rain was so torrential, her coffin could not be buried, and her husband finally gave in an, and allowed her coffin to be placed in the family crypt in Celle. 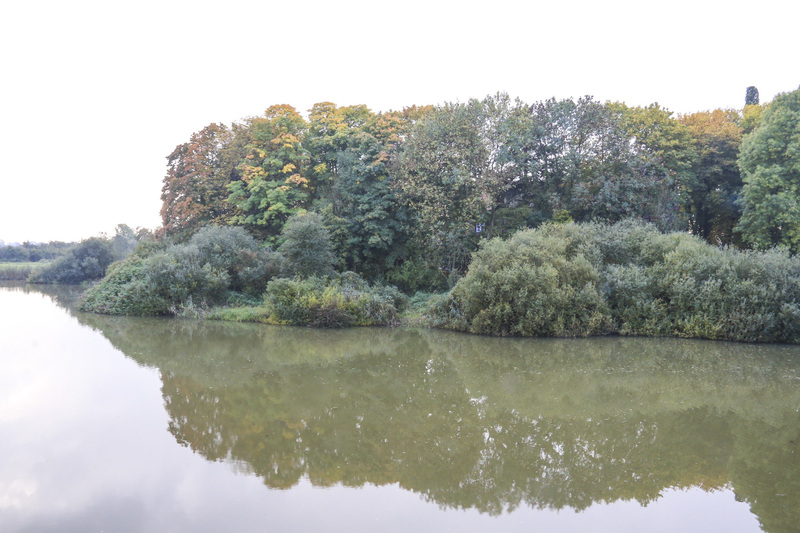 This is what the muddy outcrop bordering Ahlden Schloss looks like today. 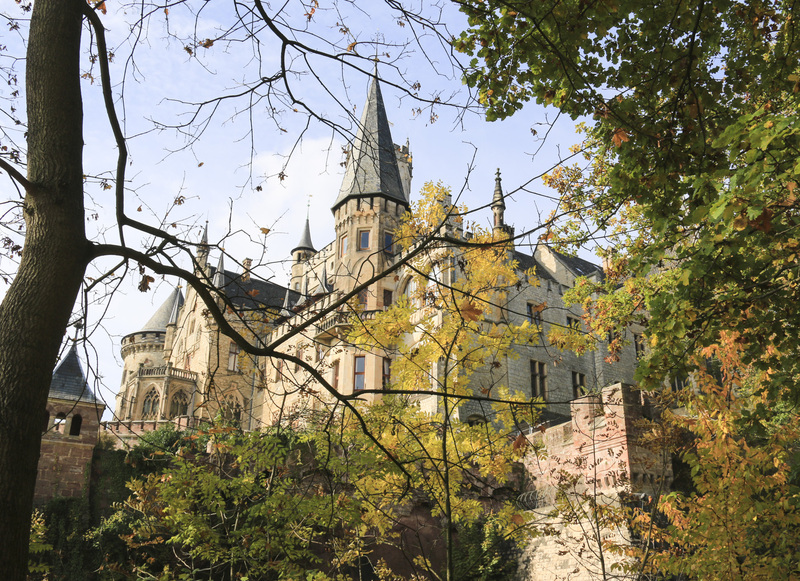 I tried very hard to see her coffin in the crypt but missed out as it was only open while we were visiting the magnificent Marienburg Schloss in the image below. This Castle is home to Prince Ernst August, a direct descendent of King George III of England. Upon her ascent to the throne, Queen Victoria, being female, was not allowed to become Queen of Hanover, so her uncle Ernst August became King and his crown jewels were on display in the Castle. No photographs could be taken in the Castle, but the portraiture of all the Hanoverian Kings was amazing. 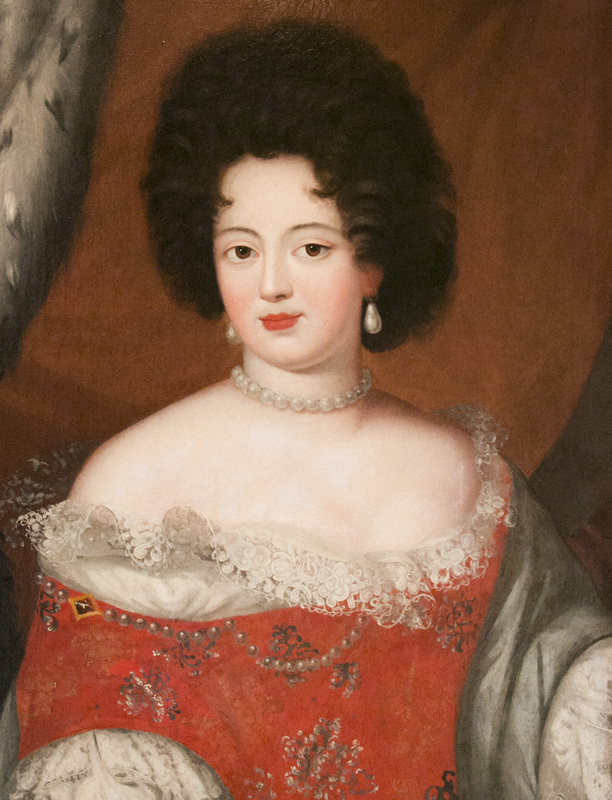 The Great Hall was hung with portraits of all the Kings of Hanover and England, but Sophia Dorothea was given the respectful dignity of being the only wife present. She smiled contentedly from her portrait hung beneath that of her husband. It was amazing to see the German version of the English monarchs! Something Sophia Dorothea could not have imagined from her Ahlden prison. Another ironic twist of fate, is that despite the ravages of war, Sophia Dorothea was able to rest in peace undisturbed in the Crypt in Celle, and the ducal palace and the church were not damaged by bombs in WWII. On the other hand, George, a superstitious man, had been warned that he should take good care of his wife because he would die shortly after her death. Sure enough George, returning to Hanover just after her death, died in his carriage, some say because he had just eaten a glutinous meal in Osnabruck. He was buried in Leine Schloss, which was destroyed by bombing raids in WWII. He did not rest in peace and had to be relocated to a mausoleum in the grounds of Herrenhausen Schloss. Ahlden today is still so small and insignificant there are no shops or information centre. There was only an information noticeboard with a map of the town and local notices. But I was surprised to see that there was a street named after her, and Konigsmark, as well. There was also a pamphlet with one of her flora images indicating that more information was available about her in Celle. When she died in 1726, after 32 years of imprisonment, she had accumulated 277 000 Thaler, silver and jewellery worth 15 528 and 23 774 Thaler. She also adorned her walls with 81 portraits of her family members who she clearly held dear to her heart. In the words of one of her biographers she was ‘a heroine who is heard of, but never seen; much spoken about, but never speaking’. As an ‘uncrowned queen of England’ she was silenced in that country by her powerful husband, and I found no evidence of her there. I was delighted to see that in Germany, she is acknowledged not just as having existed, but that she had been the wife of King George I of England, the Electress of Hanover, and the mother of King George II of England, and her daughter, Queen of Prussia. Amongst her descendants are numerous Kings and Queens!